The Asus Transformer Book T100HA is a 2-in-1 laptop / tablet PC hybrid with a small detachable 10.1-inch display, Intel Atom x5-Z8300 quad-core CPU, 4GB of RAM, and 64GB of eMMC storage. Besides Windows 10 operating system, a new feature of the latest Transformer Book T100 model is a USB Type-C connector with support for fast USB 3.1 data transfer standard. The device also includes a frontal 2MP and rear 5MP cameras, stereo speakers, 802.11n Wi-Fi and Bluetooth connections, micro HDMI video output, micro USB, combo audio jack, a microSD media card slot, and a full-size USB 2.0 port located on the keyboard deck. 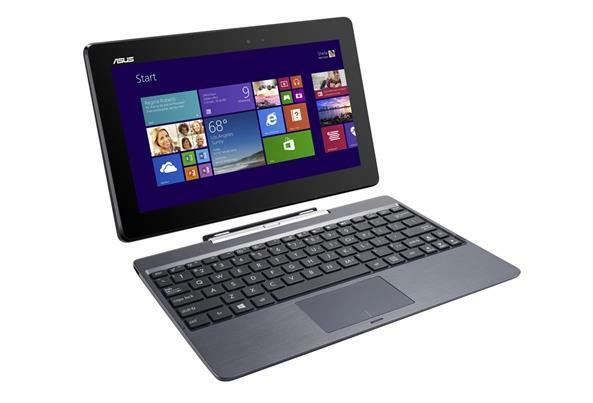 Are you looking Asus Transformer Book T100HA Windows 10 64-bit Driver? Here is the T100HA Drivers for whoever needs help installing them on Win 10. If you got any driver problems, please share with us!